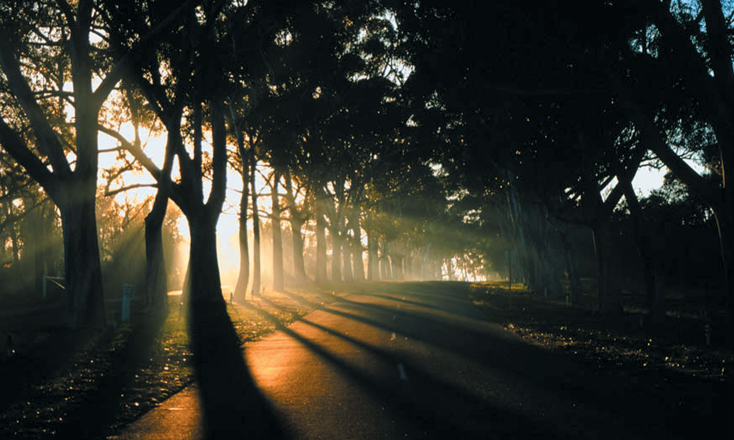 Kings Park has more memorials, statues and honour avenues than any other park in Australia. 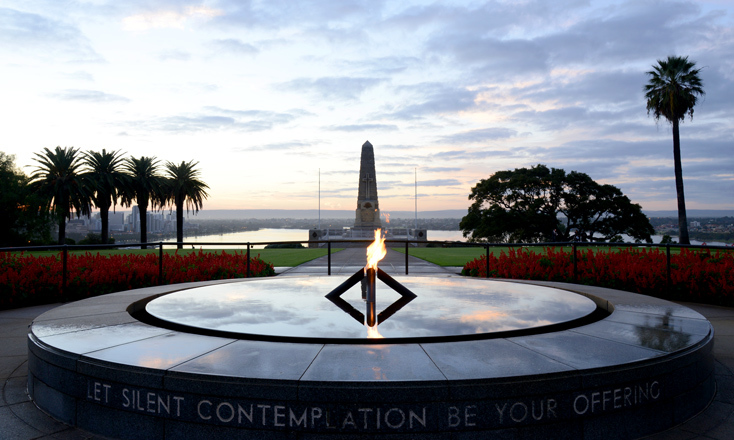 The State War Memorial precinct is the location of many important remembrance services, including the Anzac Day Dawn Service and the Remembrance Day Service. 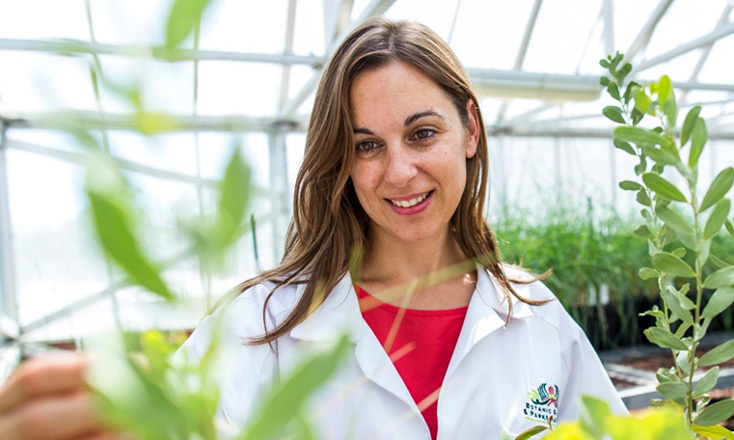 Meet Kings Park’s female science and conservation staff for a special Kings Park Education event to gain an insight into a rewarding career in native plant biology, conservation and ecological restoration of WA's biodiversity. 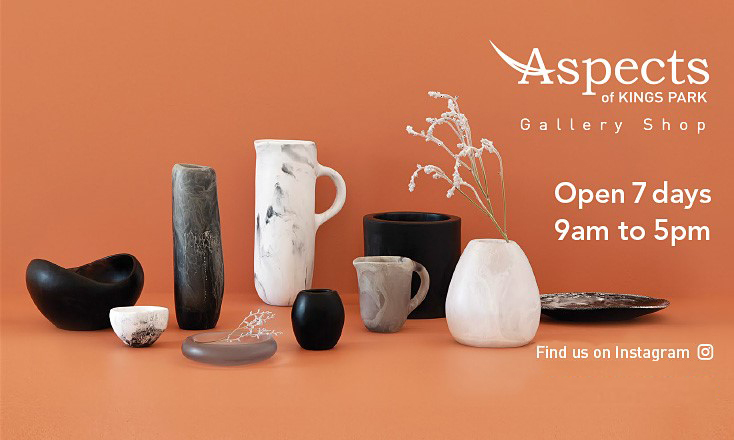 Aspects of Kings Park gallery shop offers beautiful Australian craft and design with outstanding customer service. All proceeds directly support Kings Park and Botanic Garden. Open 9.00 am - 5.00 pm, seven days a week. Online shopping available all hours. 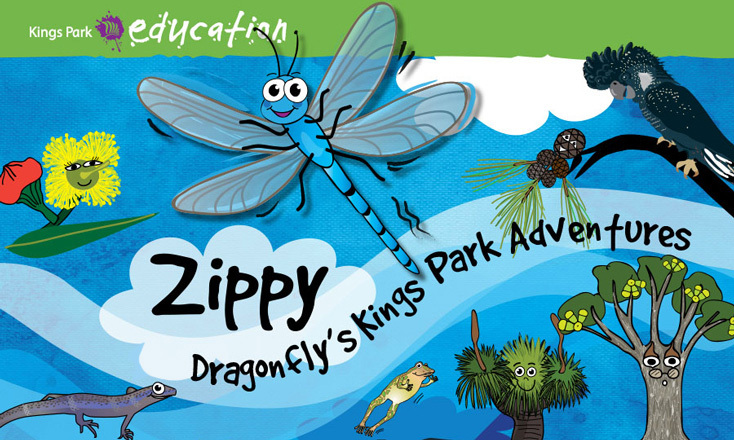 Little nature lovers aged three - five years are invited to join Zippy Dragonfly and his bushland friends on a fun, early learning adventure at Rio Tinto Naturescape Kings Park. Bookings are now open for an eight-week term. The Bookleaf Mallee (Eucalyptus kruseana) got its common name after its leaves which grow overlapping each other, like the pages of a book. 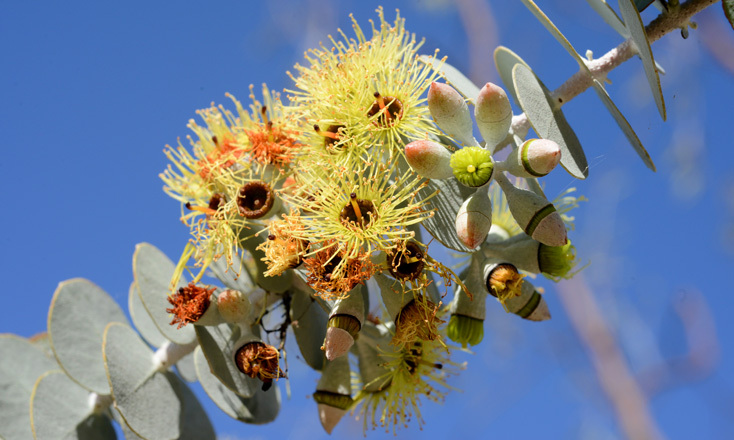 The Bookleaf Mallee' flowers along with its peculiar foliage make it a worthy cut flower. The Western Australian Botanic Garden in Kings Park is a dynamic, living research centre committed to the conservation of Western Australia's flora. The garden beds display the State's most diverse and spectacular plants. Kings Park's Honour Avenues are home to plaques dedicated to almost 1800 fallen men and women who gave their lives during war service. Visitors can access an online database that provides plaque details, images and locations. Everyone needs a tribe in the urban jungle. Join our social media conversation and share your park stories. 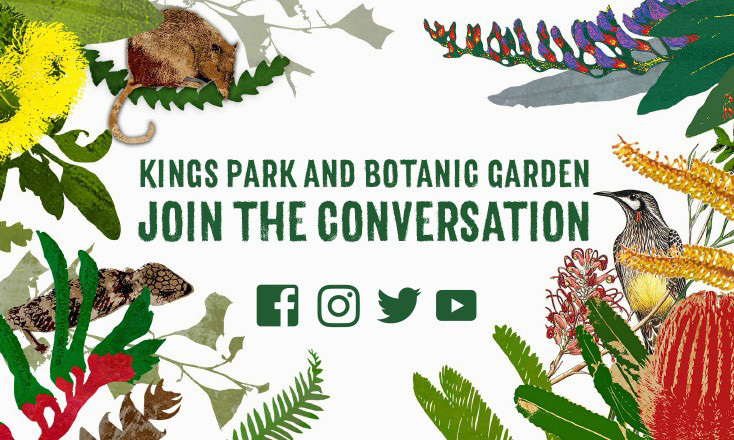 Regardless of which social media community you belong to, you can follow our material to learn about our amazing native flora, peek behind-the-scenes and discover our exciting events! 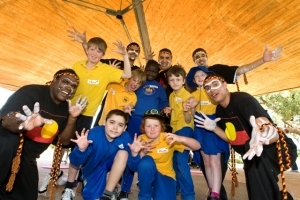 Welcome to Kaarta Koomba, also known as Kaarta Gar-up and Mooro Kaarta in the local Nyoongar language and Kings Park to the wider community. 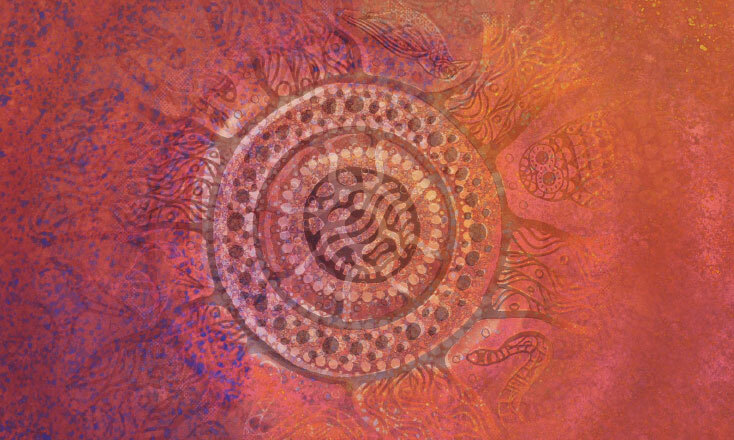 Learn about Aboriginal history through artworks, walks and Kings Park Education student programs. 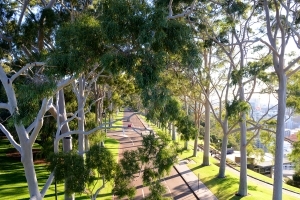 Kings Park is home to the spectacular Western Australian Botanic Garden, which displays over 3,000 species of the State’s unique flora. Two thirds of the 400 hectare park is protected as bushland and provides a haven for native biological diversity. 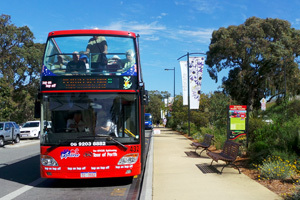 Visitors can enjoy sweeping views of the Swan and Canning Rivers, the city skyline and the Darling Ranges to the east. Bushland walk trails, immaculate gardens and parklands and a variety of children’s discovery play areas can all be found in Kings Park. The Visitor Information Centre, free daily guided walks, Aspects of Kings Park gallery shop, cafes and public transport are easily accessible. Kings Park is always open for visitors and free to enter. The Visitor Information Centre on Fraser Avenue is open daily and free guided walks are available. 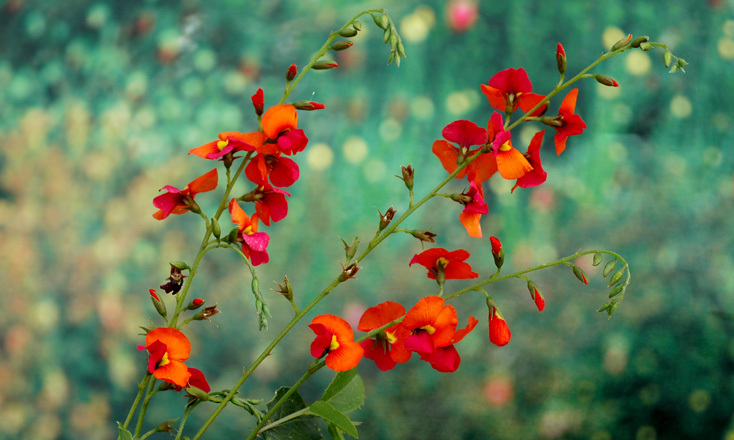 The Garden Advisory Service provides free information for home gardeners. 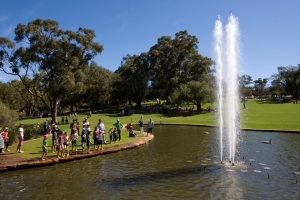 Kings Park and Botanic Garden is located in Kings Park, a short distance from Perth CBD. Parking is free for visitors and public transport is readily available. Walks and tours are offered daily. 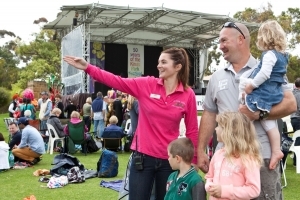 Kings Park has a great range of events and activities open to the general public throughout the year. See the events calendar for all the details. 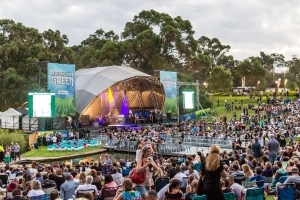 With its views of the Swan River and Perth city, beautifully landscaped gardens and parklands, Kings Park is a favourite for weddings, family functions, community events, memorial services, corporate functions and sporting activities. Kings Park Education is a national leader in hands-on education in the areas of environment, science, sustainability and Aboriginal history for students from Kindergarten through to Tertiary level. 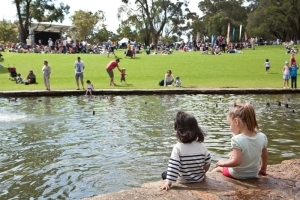 There are plenty of exciting things to do in Kings Park and Botanic Garden - why not try all of them! Fraser Avenue leads the visitor from Kings Park Road, West Perth into the major tourist and restaurant precinct. 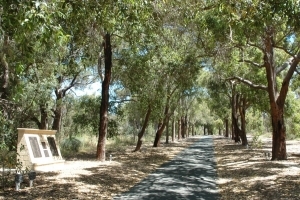 A short walk takes visitors to the State War Memorial and Western Australian Botanic Garden entrance. Explore more than 3,000 species of native flora, most of which are found nowhere else on the planet, in the Western Australian Botanic Garden. Two thirds of Kings Park is bushland, making it an important conservation reserve in the urban area. The bushland is home to a diverse range of native wildlife and accessible by a network of walking trails.